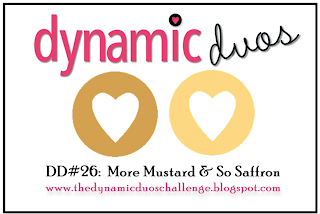 This card is for Dynamic Duos Challenge 26 using So Saffron and More Mustard. I neglected to write down the colors and had it in my head that it was So Saffron and Summer Starfruit.....Sooooo, that's what my card is. 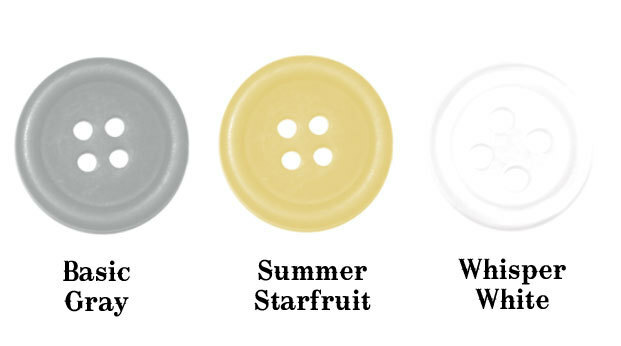 So Saffron and Summer Starfruit. I'm gonna go ahead and link it to the challenge anyway, even though the colors aren't quite right, but hey, they're similar! 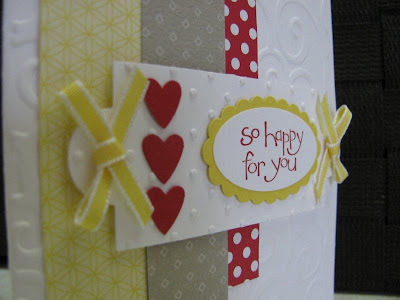 This card also fits into the Try Stampin' On Tuesday Sketch Challenge 89. I used the Triple Time Stamping Technique for the sketch part. 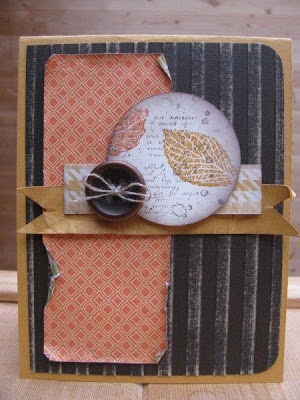 There is a great tutorial on Dawn Olchefske's website. When I first started putting this card together, I was only using Vanilla and Starfruit as my layers....I didn't like it. 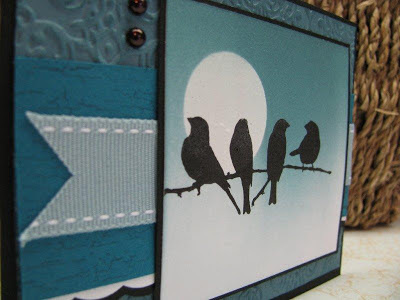 I added a very small black layer and added the black sentiment and voila! The whole thing came alive! It was pretty dull before. I hated this card while it was in the making, but it is growing on me! Accessories: Vintage Faceted button, Starfruit & Saffron ribbon, Gold thread. 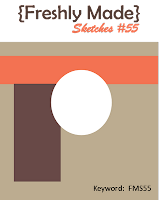 I made this card for Freshly Made Sketches #58. I loved the look of this sketch and you could go in so many different directions with it. I'm trying for a distressed fall look. 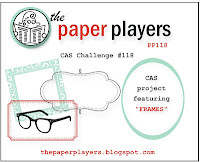 The first element I started with was the paper. Then I decided what stamps and accessories I wanted to add. The colors were fallish, so I pulled out my French Foliage set. With the sanded backround piece of Early Espresso Core'dination and the vintage feel of the set, there was no other choice than to distress everything. 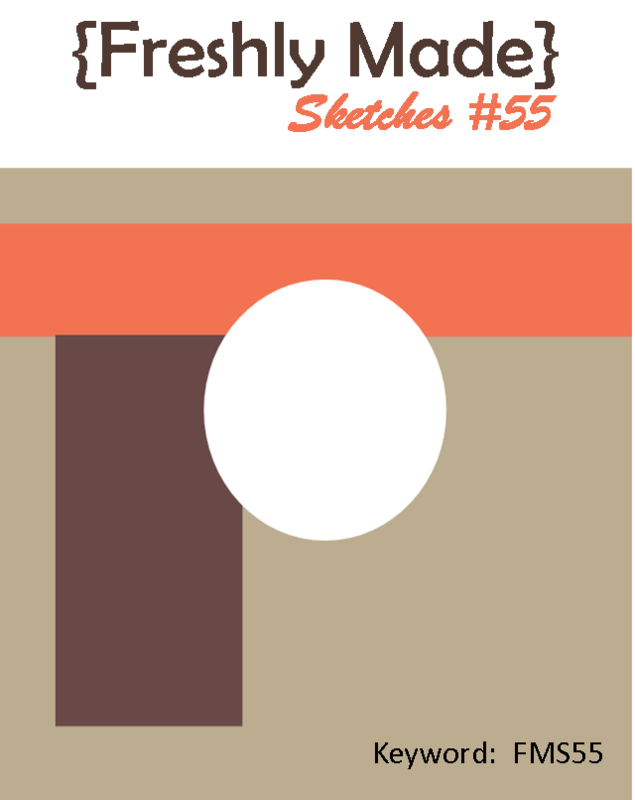 I added a copper button, which doesn't really fit with the sketch, but I felt it needed that something extra. Thanks for peeking and have a fabulous day! 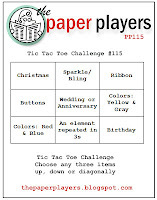 Here's a card for The Paper Players #118. 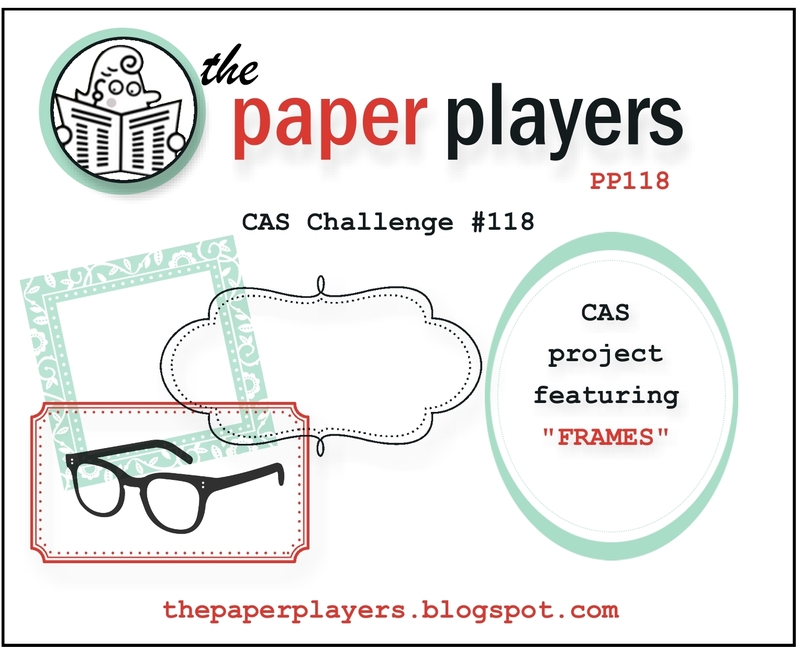 The challege is to use a frame. 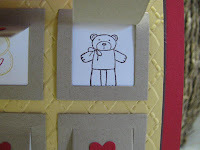 I was loving the "coloring on the back of vellum" technique (I'm sure there is a technical name for the it, but I'm not sure and I don't have time to look it up!) 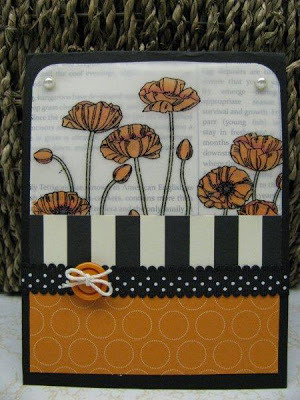 that I used in my last post with the poppies, and decided to try it again with Elements of Style. This is such an EASY way to get color onto these images and it looks so nice! I stamped a larger vanilla labels framelit with the Frech Script backround stamp in Sahara Sand ink and layered it behind my framed vellum. It's hard to see in the photo, but you can see the French Script peeking out from behind the flowers and it looks so elegant! I topped everything off with a crumpled seam binding bow, along with a ruffled strip. There are some great tutorials out there on YouTube on how to crumple seam binding, but the easiest I found was to spray it with water, crumple it up in your hand and dry it out in the microwave for about a minute. 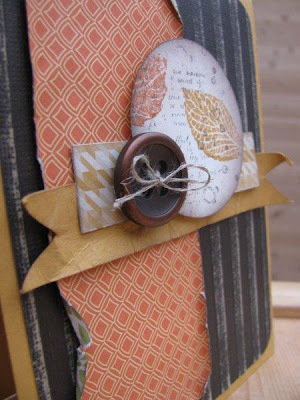 What a cinch! 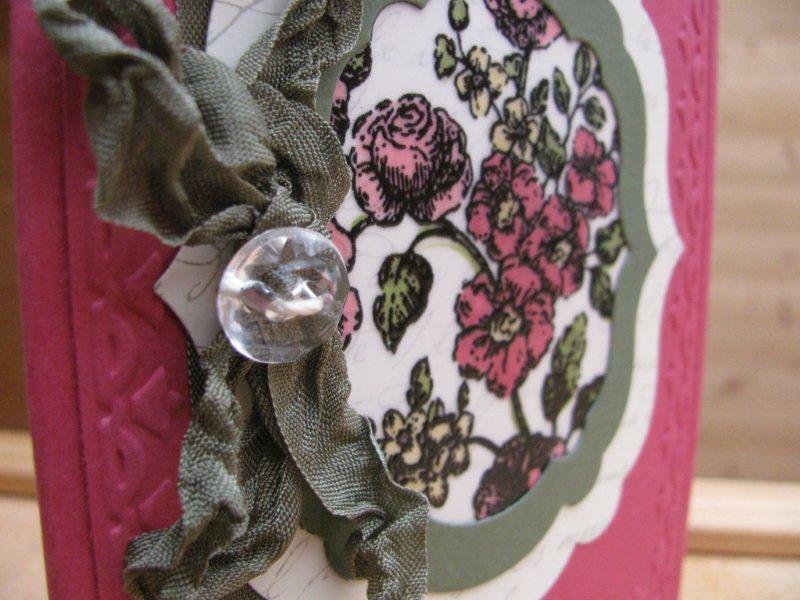 The Vintage Faceted button adds the perfect touch to this antique-elegant card. Thanks for taking a peek and have an excellent day! 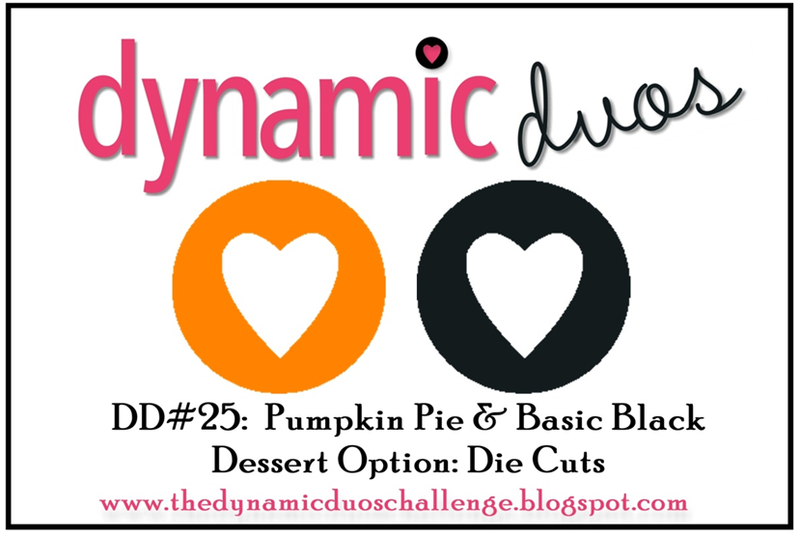 This card was totally inspired by Dynamic Duos #25 with the color combo of Pumpkin Pie and Black. 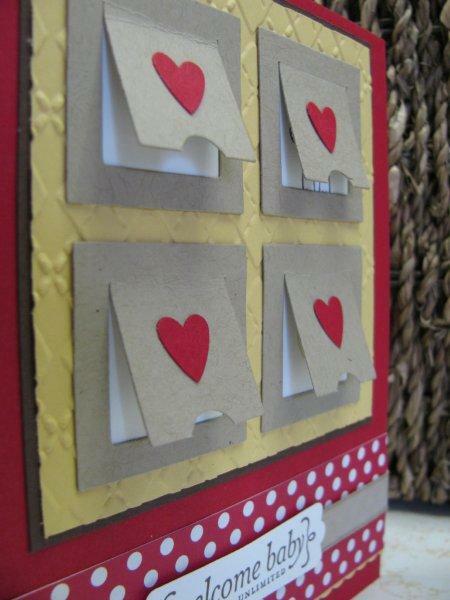 The desert option is die cuts, but I opted out of that one. I was trying to go in a less Halloween-ish direction with these colors. 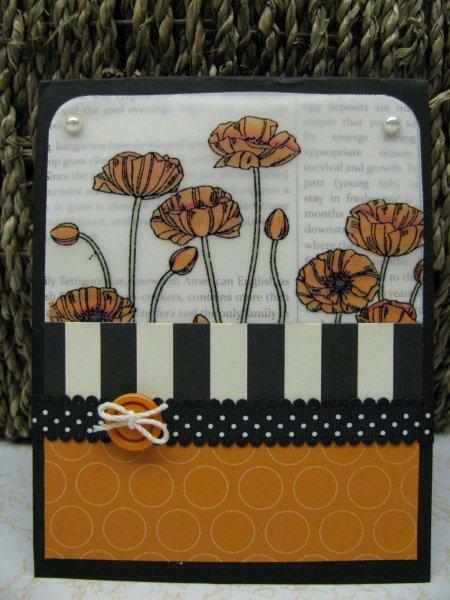 I chose to use the Pleasant Poppies stamp for the main image. 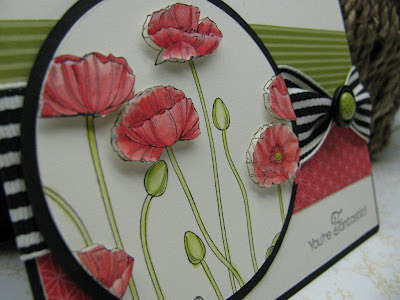 I absolutely love these poppies! They are actually (and unexpectedly) really versitile. I think you could color them any color and they would look fantastic! 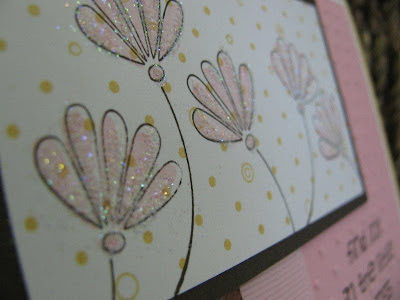 I stamped them on vellum paper with versamark ink, embossed with black EP, and colored the images with marker on the back. This is such an easy technique. I layered the vellum on a peice of First Edition DP. The tricky thing with vellum is attatching it without the glue/tape showing. I used two little glue dots in each upper corner and then covered them with a pearl. 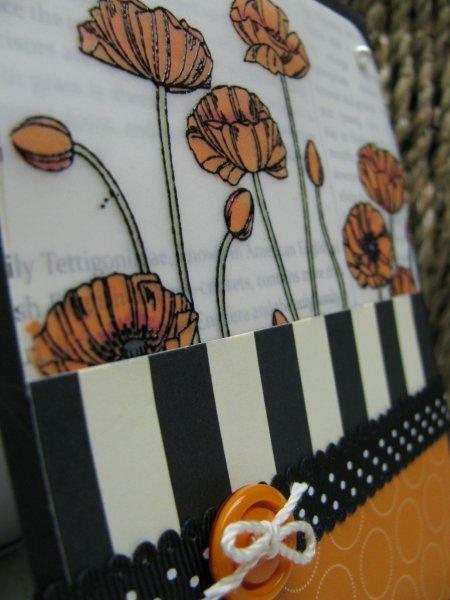 Accessories: Brights button, Scallop dotted ribbon, Pearls, Vanilla string, Black EP. 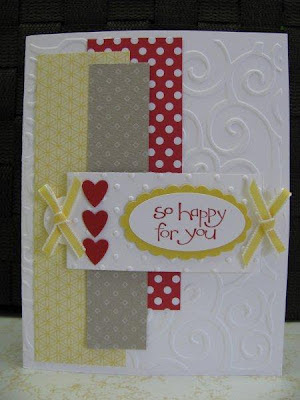 Thanks for taking a peek and have a stupendous day! This card is for the Sweet Sunday Sketch Challenge 169. 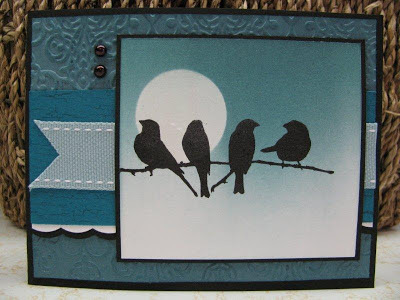 I made the focal image of the birds on the branch first and then browsed around to find a sketch for it to fit into. SSSC169 worked perfectly. Believe it or not, this is my first brayered image. 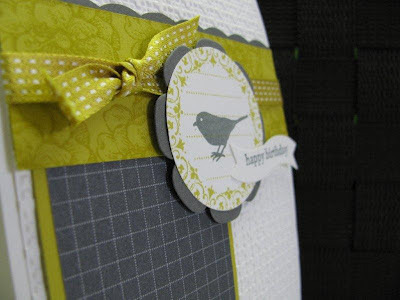 I had a brayer a long, long time ago, back in the prehistoric stamping days, but it had long since disappeared. I just recently purchased a new one and finally put it to work. I just love the results of the smooth, graduated ink. 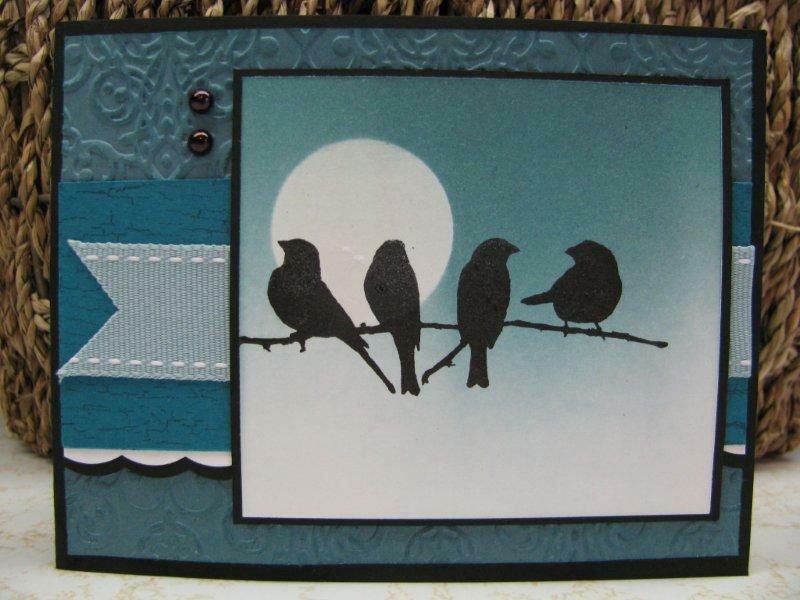 I thought with the night sky and the bird image, plus the texture from the Lacy Brocade EF, this card conjurs up a Halloween-ish feel. 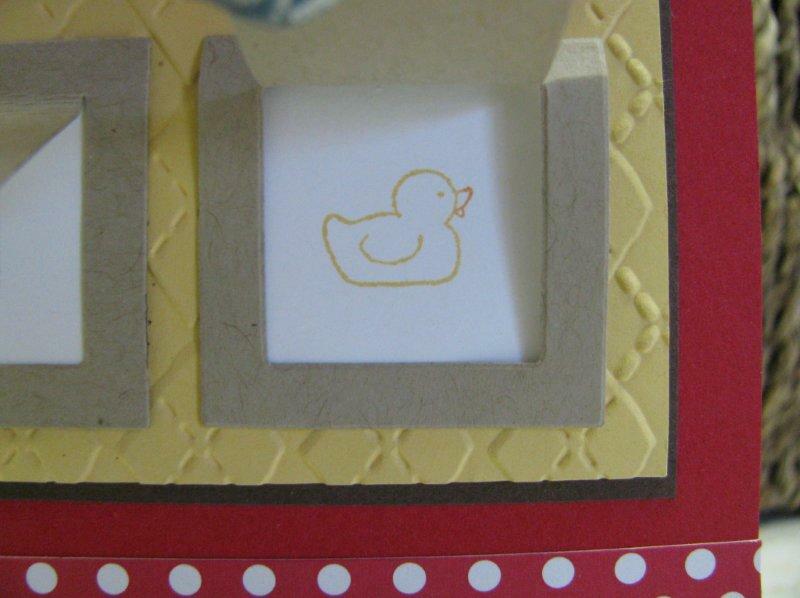 I left the sentiment off on purpose because I'm just not sure exactly who I'm sending this card to yet. I rubbed the embossed cardstock with some Blue Bayou ink to make it stand out a little more. My other embellishment is two pearls colored with a black sharpie. 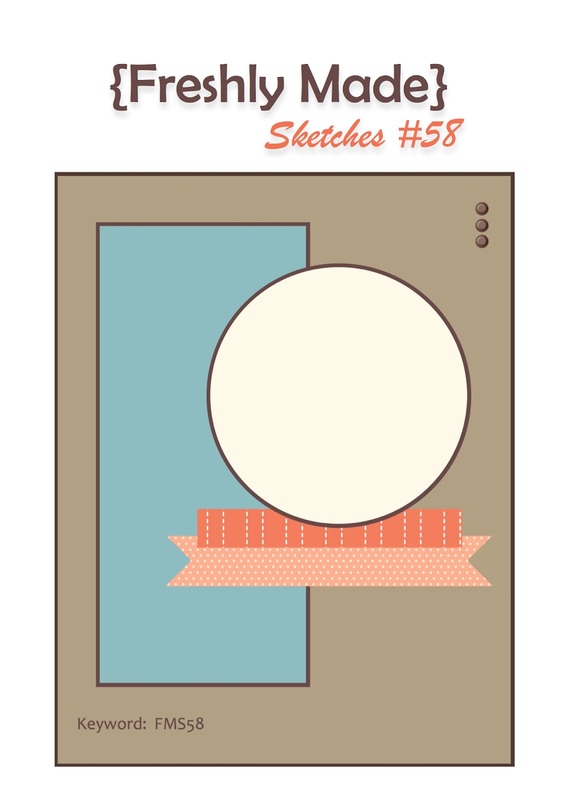 Todays card is for Nacho Average Challege 15, a sketch challenge. It also encompasses Just Add Ink #139 which says to use something new. 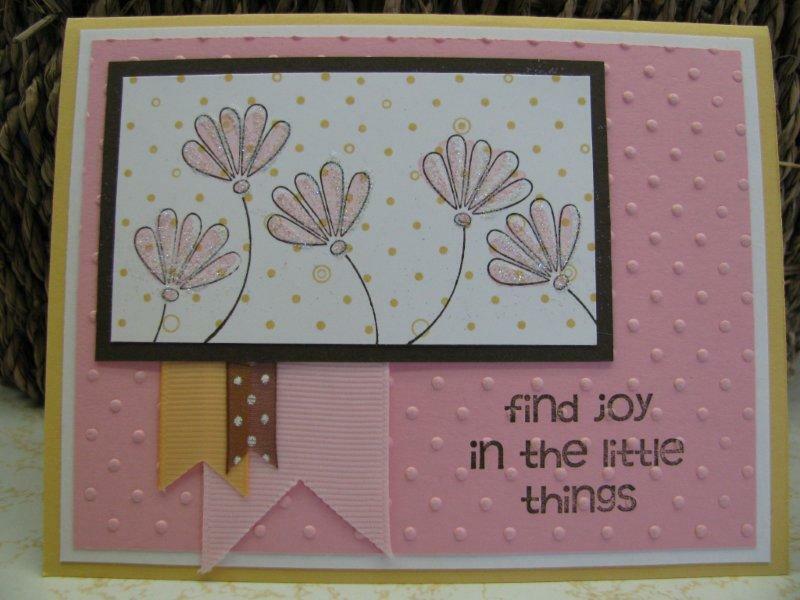 My something new is my Peekaboo Frames die! When the Peekaboo Frames die first came out last year and they were showing it used in making advent calendars and such, I just couldn't see where that would fit in with my stamping. 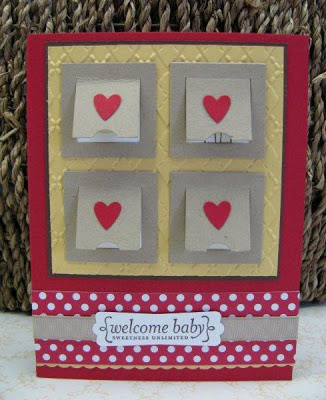 Then, recently while flipping through the Catalog and Idea Book, I saw a card made with the Peekaboo frames and another stamp set that contained little images. The idea of making a baby card with this same concept, only using my Baby Bundle set came to mind. 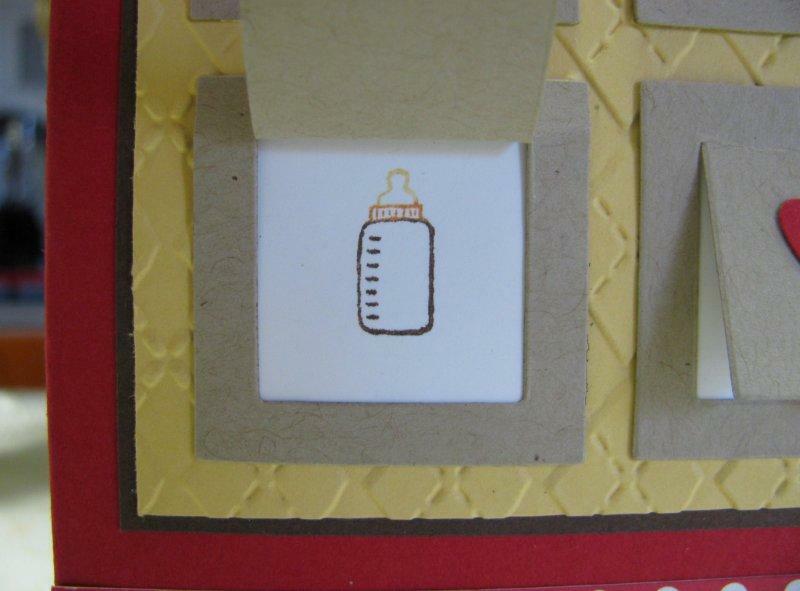 I basicly bought that stamp set for the cute little stroller image and didn't think I'd really ever use any of the other stamps. Once I had the idea, I had to purchase the Peekaboo Die right away. AND THEN, along comes NAC sketch challenge. 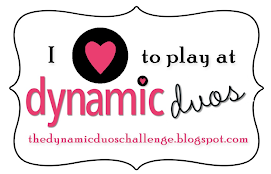 It was a match made in heaven! I tried to use neutral colors that could go either boy or girl, since I don't have anyone in particular to give this card to. I was just so excited about this idea and getting to use those stamp images that I thought I'd probably never use otherwise! 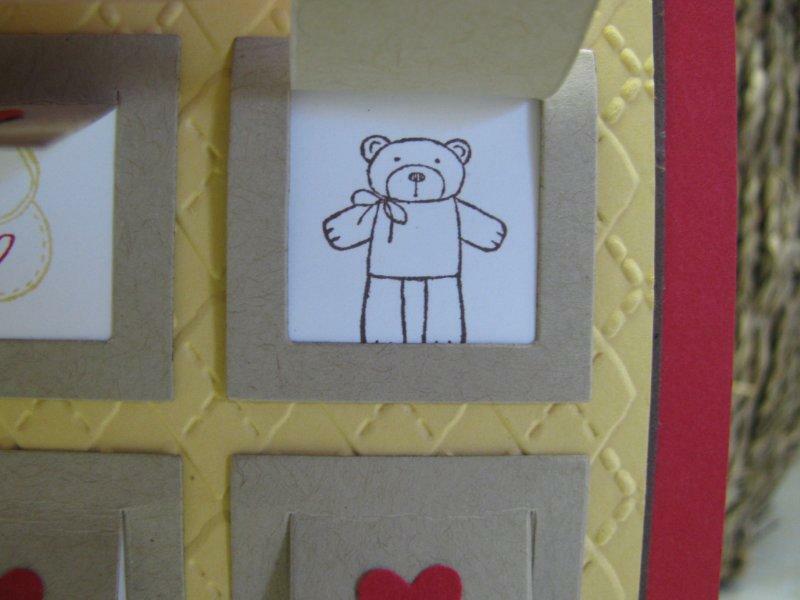 Here are some pictures inside the peekaboo frames. I've got another entry for today, as I won't have time to blog tomorrow. Saturday is highschool football in our area and my oldest son plays center for the team. It's going to be a crisp day to stand outside and watch football, but I wouldn't miss if for the world! Tomorrows game is the one that really counts and if they win they are in the playoffs! Good luck Redhawks! 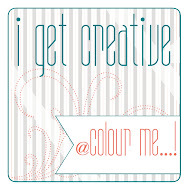 Back to the card....I made this one for Create with Connie and Mary 221 sketch challenge & Nacho Average Challenge 14 color challenge. 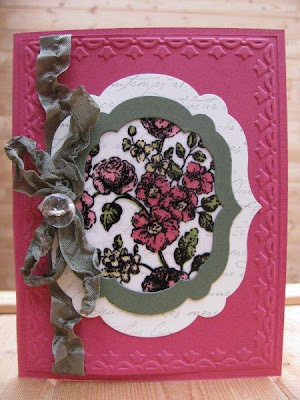 I used an old set from SU called Polka Dot and Paisley. I love how it works with these soft, fun colors. This is another card I'm using for my adult ed class. I dabbed a little 2-way glue on each flower and sprinkled them with Dazzling Diamond glitter. 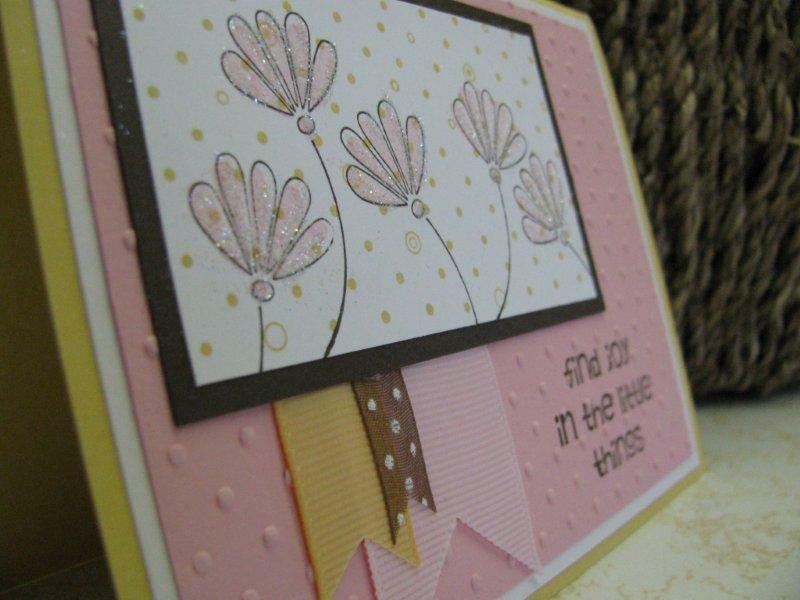 I carried the polka dot theme through the card in the stamped backround, the embossed pink layer and the brown ribbon. 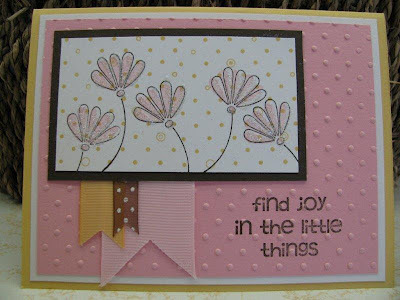 I love the sentiment that comes with this set too....Find joy in the little things....which is exactly what I did with this card. It gives me joy to create fun things like this! Thanks for taking a peek and have a cool day! Today's card combines three challenges. 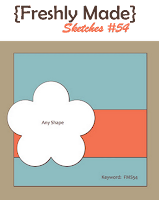 Freshly Made Sketches 55, Just Add Ink 138, and The Paper Players 115. 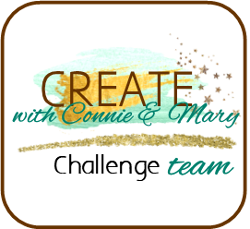 JAI138 is a color challenge using Basic Gray, Summer Starfruit, and White. 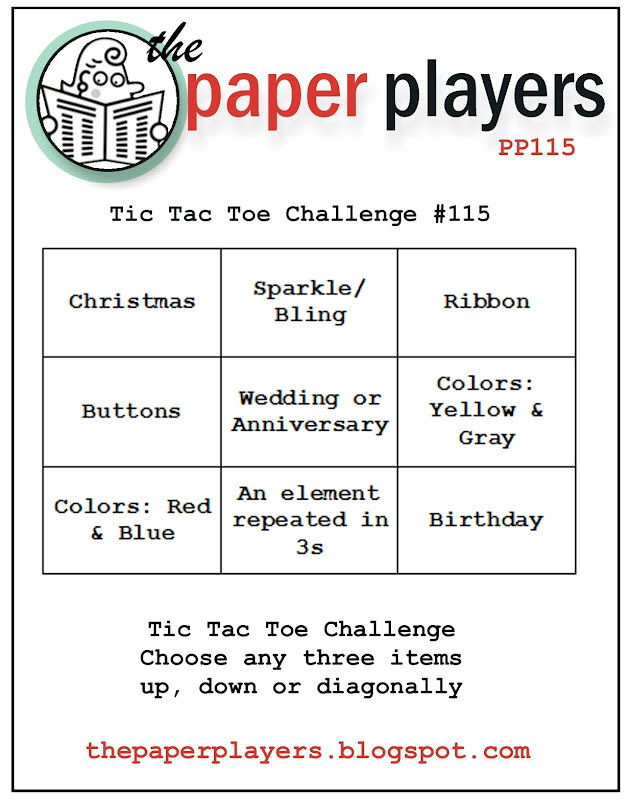 The Paper Players is a tic tac toe challenge (which I think is so fun!) 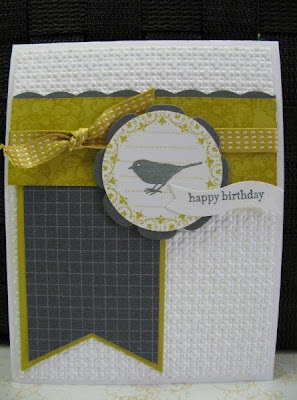 and I chose to use Birthday/Gray & Yellow/Ribbon. I used a new set from SU called Everything Eleanore. This set has a lot of different stamps that are very versatile. This is one of the cards I'll be using for an adult education class that I teach. It's pretty simple and staight forward. Thanks for taking a peek and have a super day! 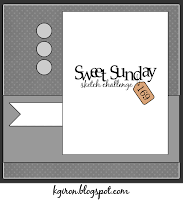 This was a quick little card using Sweet Sunday Sketch Challenge 186. What a fun sketch! 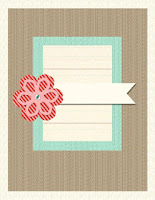 I needed a card to give to a friend of mine who is having a baby. They don't know if it's a girl or a boy, so I tried to keep the colors gender neutral. Good Morning everybody! It's a crisp, sunny, beautiful Monday morning here in eastern Montana. The colors are turning on the trees and the leaves are crispy under your feet....Fall is amazing! 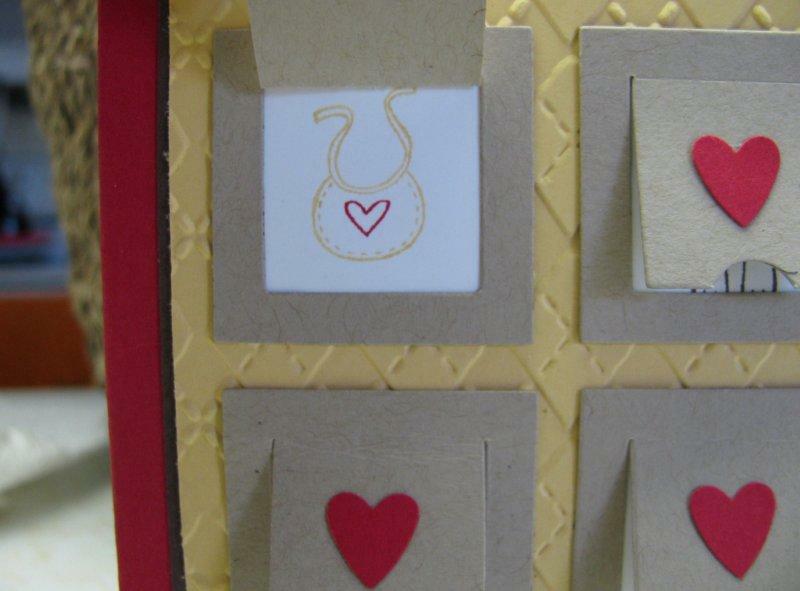 OK, on to today's card. 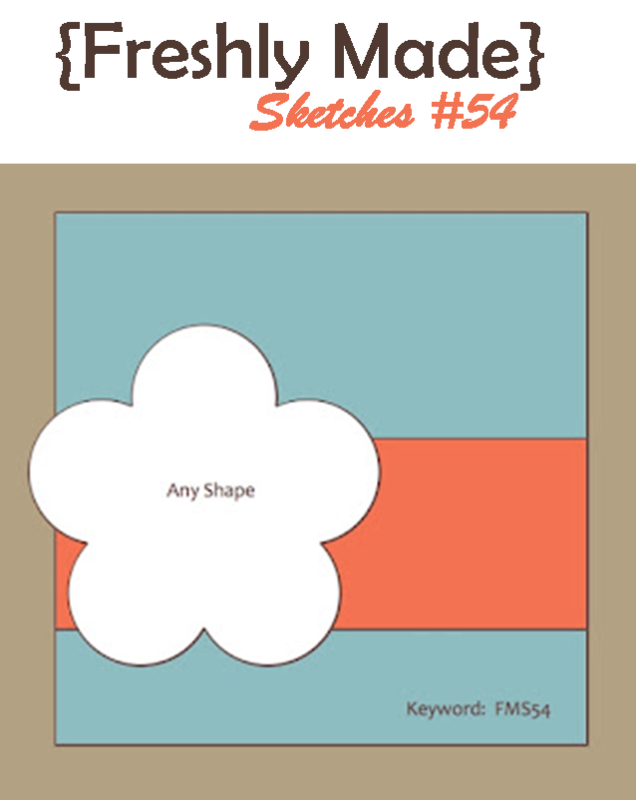 I made this for Freshly Made Sketches 54. 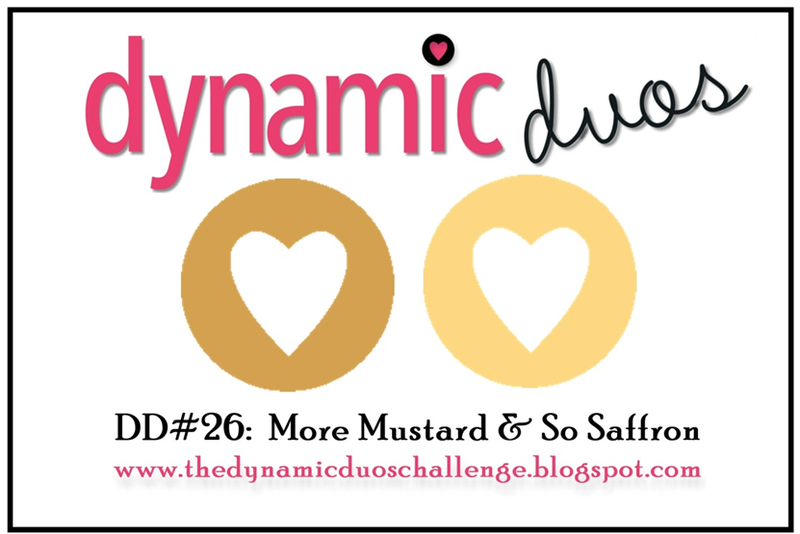 I also used an older Dynamic Duos color combo of Poppy Parade and Lucky Limeade. 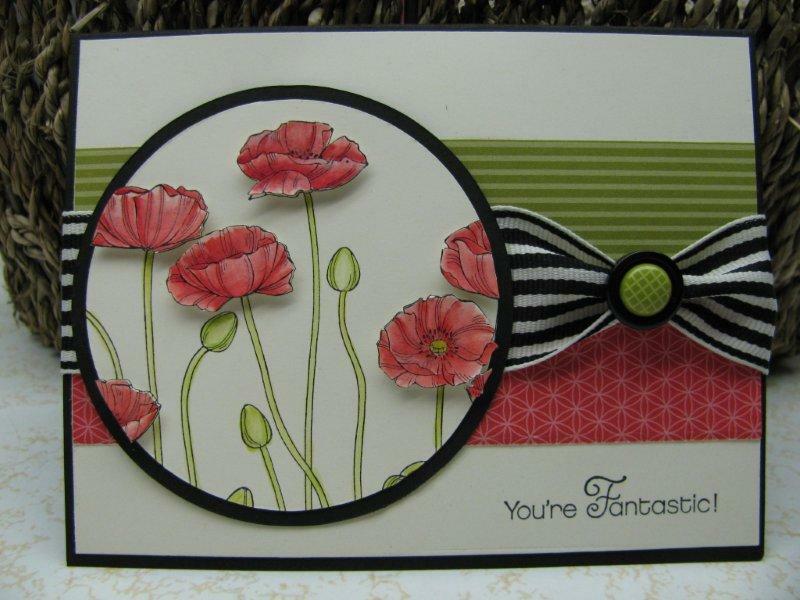 This is the first card I've made with the Pleasant Poppies stamp. It sure is pretty! 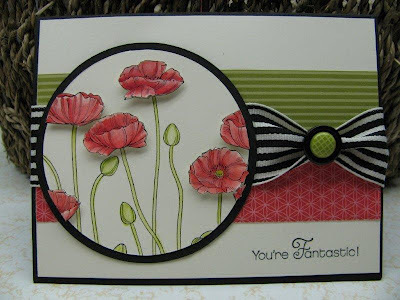 I stamped it on the circle in black Stazon ink, colored the stems, then stamped again on a scatch piece of CS. I colored the poppy heads with my blender pen and Poppy Parade ink pad, cut each of them out and popped them up on dimentionals. I love how it turned out! I added in Black as my neutral. All these colors are so striking together. When SU first introduced Poppy Parade as an in-color, I was hesitant. I usually gravitate towards the blue-toned reds, but I have fallen in love with this color. Plus, it couldn't be more perfect with this stamp! I know it's retired now, but I'll just keep using it until all my supplies are gone! For the button detail, I removed the "legs" off the brad and added a glue dot to adhear it to the black button.